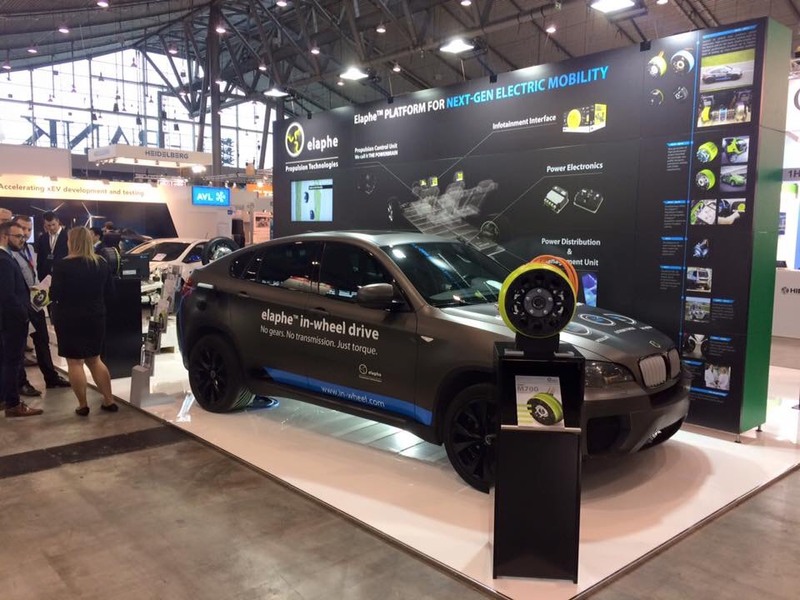 It has been another exciting year for e-mobility and many highly innovative technologies have found their way to the EVS 30 “World of Energy Solutions” in Stuttgart and the upcoming eMove360 in Munich. EU- Live is proud to present it’s state of the art EU-LIVE in wheel motors. The EU-LIVE in wheel motors are currently being integrated in the new L3e and L5e vehicles from Peugeot Scooters and PSA group. Each motor is able to produce 25 kW of peak power, the systems are air cooled and come with custom disk brakes. 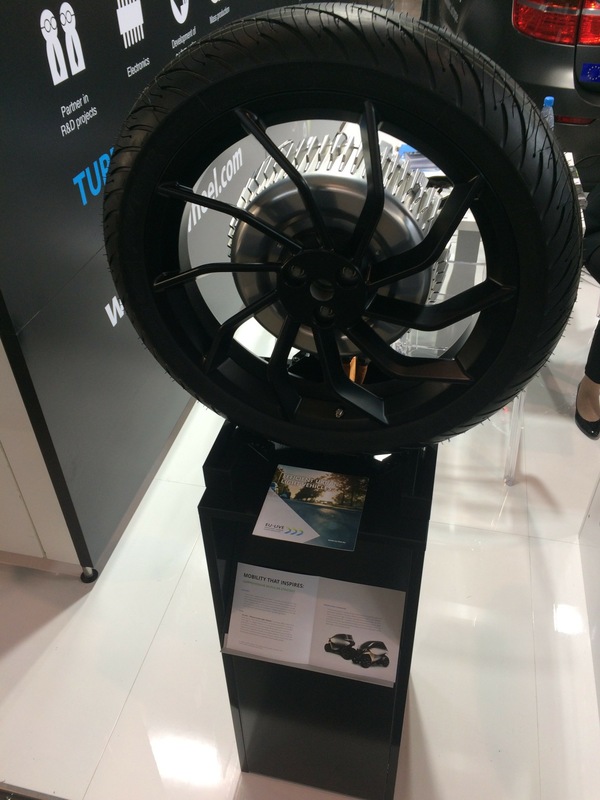 The L5e vehicles are equipped with customized 18″ rims and are mounted with pneumatic tires. 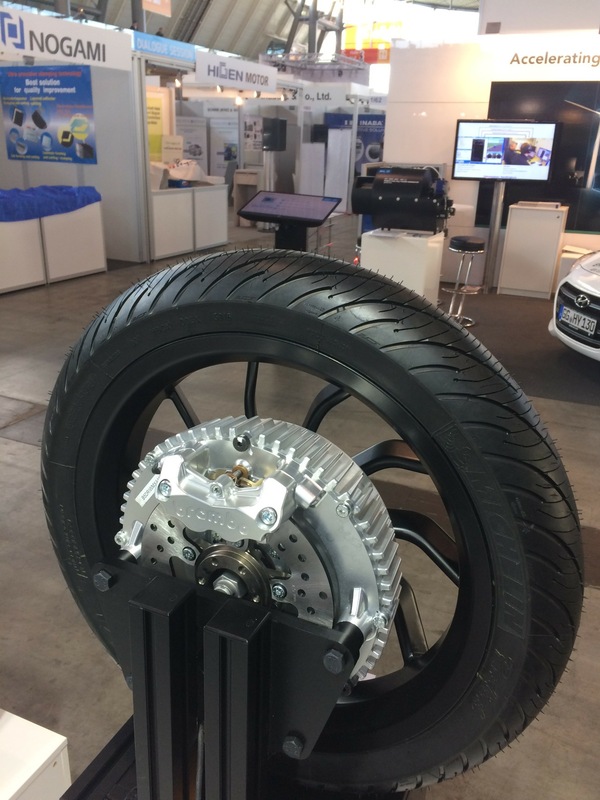 The new EU-LIVE in wheel motors can be seen life in action at the EVS 30 in Stuttgart and the upcoming eMove360 in Munich.